Episode 1 : "Together Again"
A new season and a new decade dawns at Maplin's. 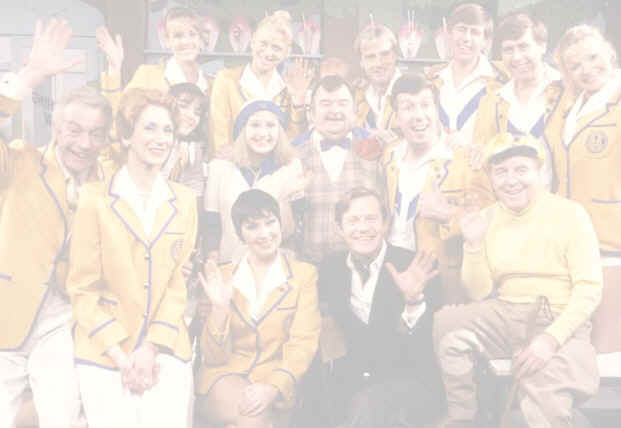 The year is 1960 and the Entertainments Staff gather again to welcome the campers. The staff arrive by train, but one of the familiar faces is missing? Where is Jeffrey Fairbrother? Episode 2 : "Ted At The Helm"
Ted is excited when he thinks he is to become the new Entertainments Manager, but is there another reason why he is summoned to Maplin's Head Office? A new face arrives at the camp who Ted is very unhappy to see, it is the new Entertainment's Manager, Clive Dempster, who manages to con Ted out of £10. Episode 3 : "Opening Day"
The new season officially starts at Maplin's and the Entertainments Staff head of down to the train station to greet the campers. Clive again manages to fiddle Ted out of yet even more money. Has Ted finally met is match? Episode 4 : "Off With The Motley"
Peggy is promoted when the Stores Supervisor position becomes vacant, but she misses all the fun around the camp, after all Stores Supervisor is hardly a Yellowcoat is it, despite more money? How long will she last? Episode 5 : "Hey Diddle Diddle, Who's On The fiddle?" The staff are put on their guard when Peggy finds a letter which seems to indicate that Clive Dempster has been offered the job of Entertainments Manager to spy on them and see what fiddles they are up to. Ted remembers that he has an old car, same as Clives, and dreams up a new way of making money, to the disgust of Spike. Meanwhile Clive has to make some money of his own when some thugs come demanding money of which Clive is in debt to.